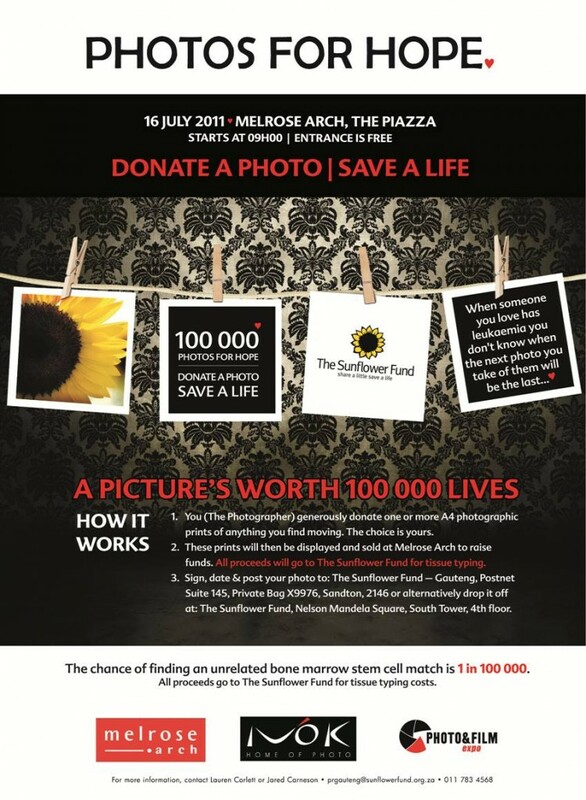 This Saturday the 16th July 2011 is Photos For Hope at Melrose Arch in Johannesburg. As we still need to get all the images to Foto First for printing and then on to sorting etc we will be closing the submission at midnight tomorrow (12 July 2011). We still have room in the 1000 picture quota that is being sponsored by Foto First so please upload you images ASAP.